- This voucher must be exchanged at the IBZ BOAT office located in C/ Carles Roman Ferrer, 32 (in front of Jabeque Hotel). Exchange time: 12pm - 12.30pm. 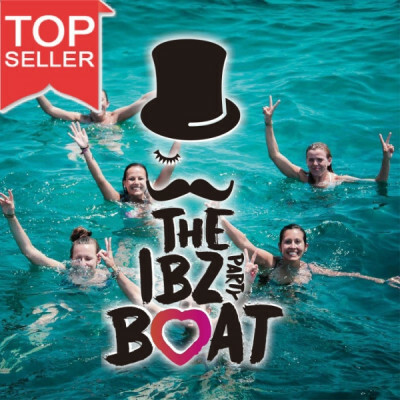 - The Ibz Boat operates an over 18s policy. Anyone under the age of 18 will be refused entry. All assistants must take a valid ID. - The boat party starts at 1pm. - The online ticket to the IBZ Boat Party also includes one entry to Ushuaïa - any day entry before 18:00 (before 16:00 for Saturdays), or Hï - any day entry before 01:00 and before 00:00 for Afterlife on Thursdays. (Important: you can go to Ushuaïa or Hï - you choose which). The offer does not include some events such as the party elrow, parties with David Guetta (BIG/FMIF) or Calvin Harris, nor the opening and closing parties, nor some special events with limited availability.